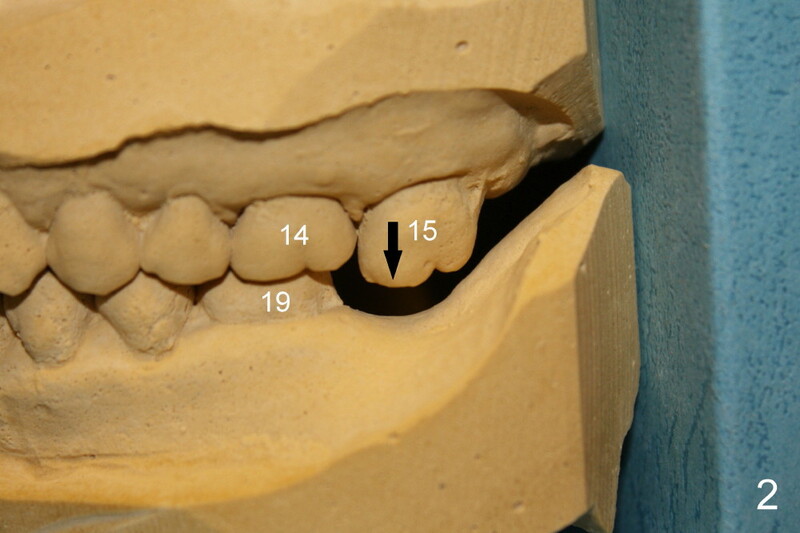 Supraeruption of the tooth #15 of a 44-year-old man (2.5 years after extraction of the tooth #18 (Fig.1,2)) is not found until an implant is placed at #18 (Fig.3). 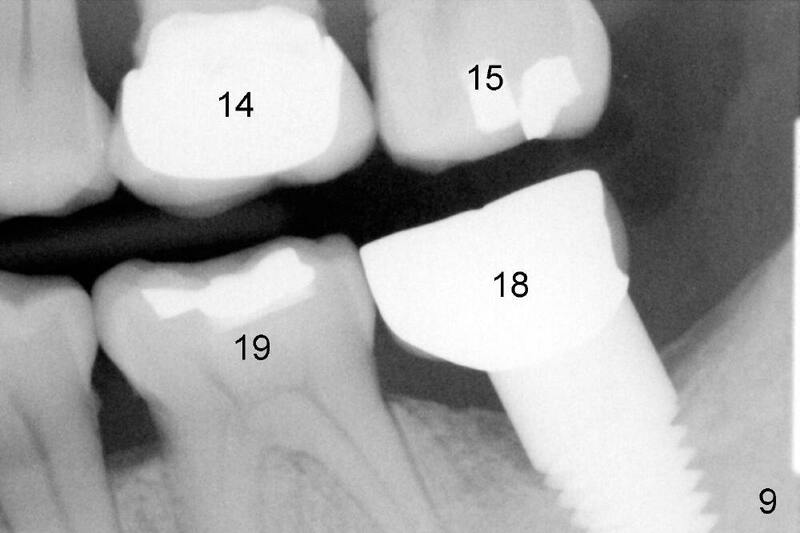 Treatment is to place 2 mini-implants (Fig.4-7) with power chain (Fig.6,7). 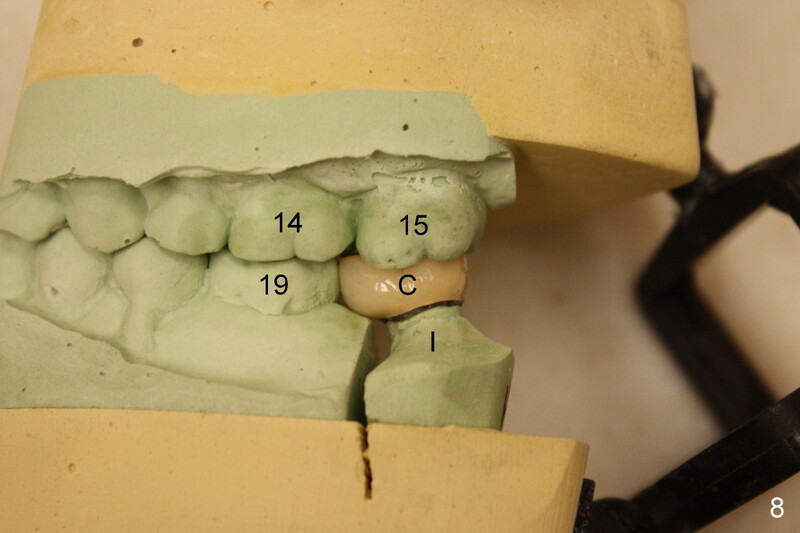 It finishes in 8 months (Fig.8). 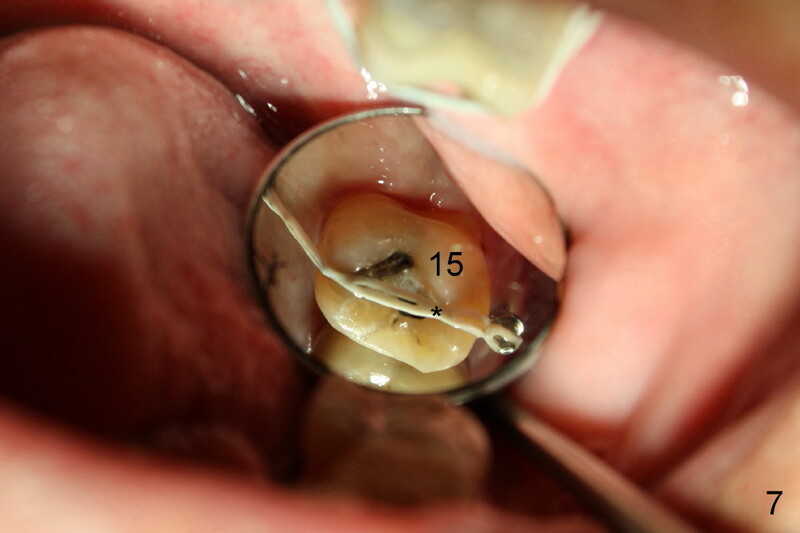 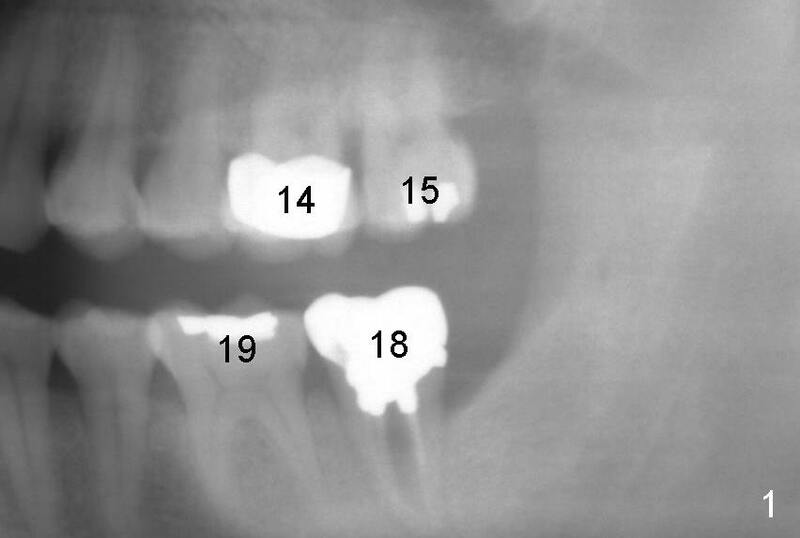 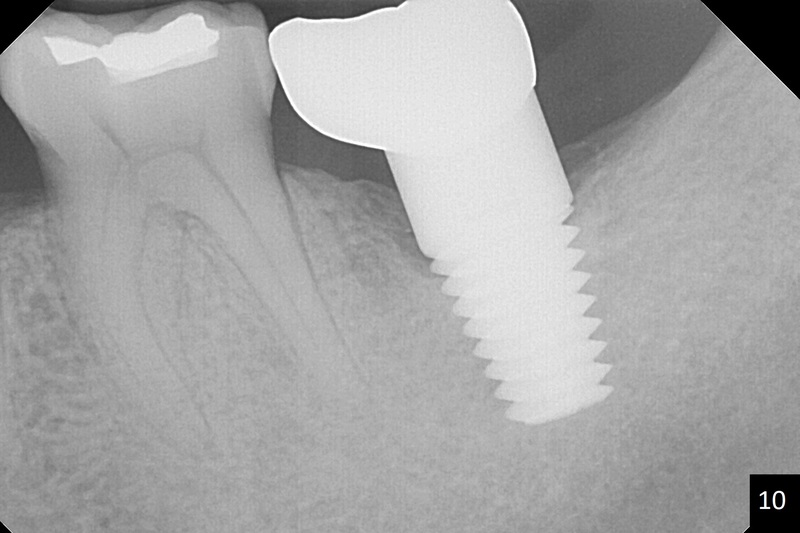 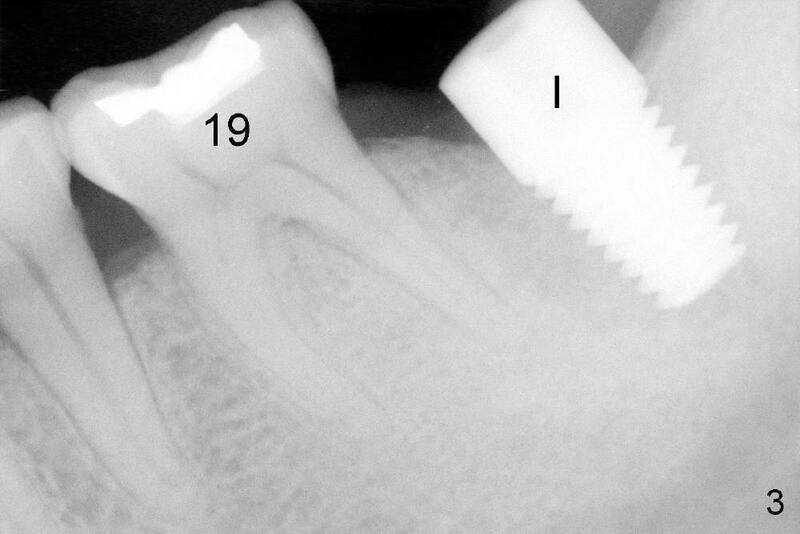 The occlusion remains stable ten months post cementation of the crown at #18 when Fig.9 is taken. 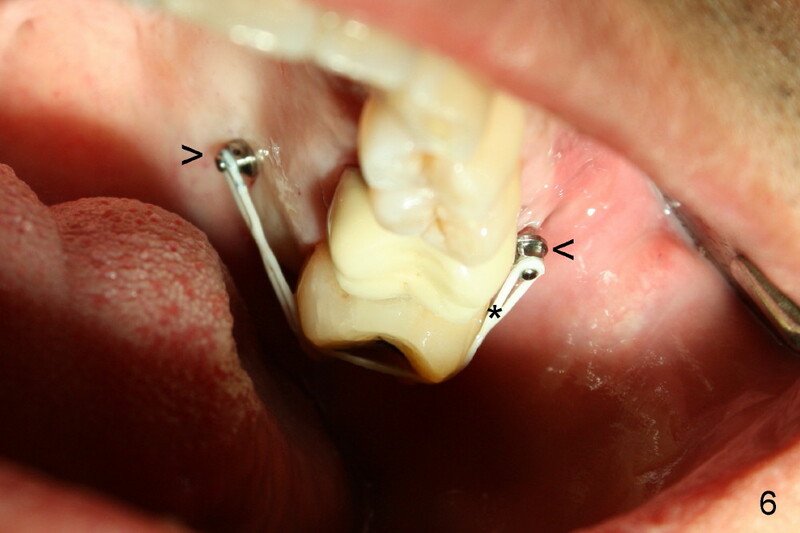 The PFM needs occlusal adjustment twice before redo once (Zirconia). 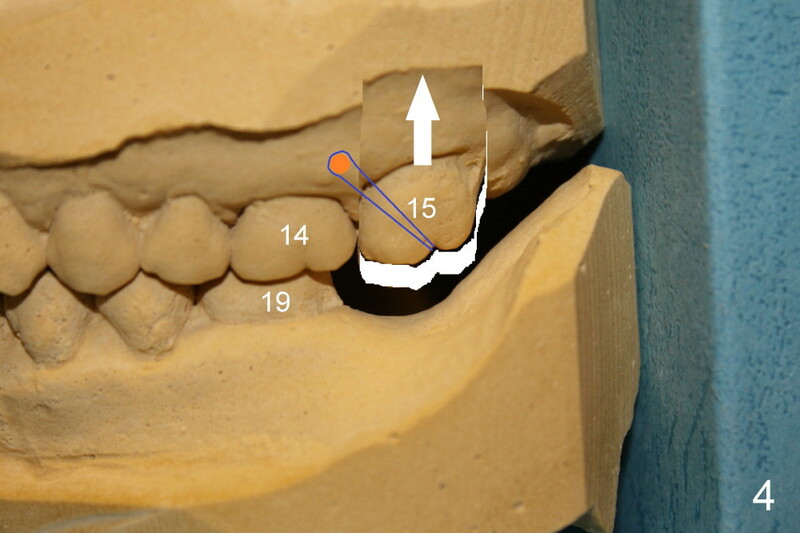 The total functioning time is 4 years 5 months (Fig.10). 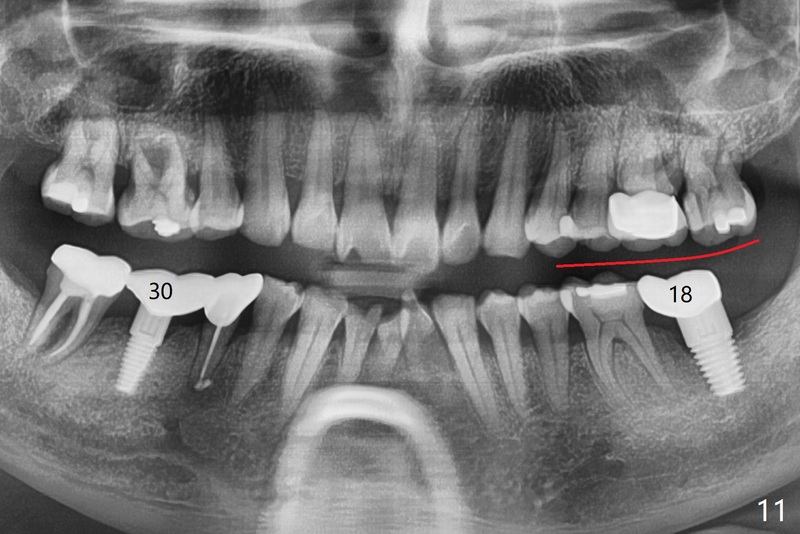 The Curve of Spee on the left remains relatively normal 5 years post cementation of #18 (Fig.11 red line, 1 year post cementation at #30).